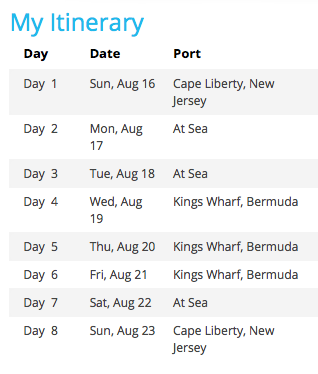 Just 7 days longer and away we go……Goodbye New England, Hello Bermuda! 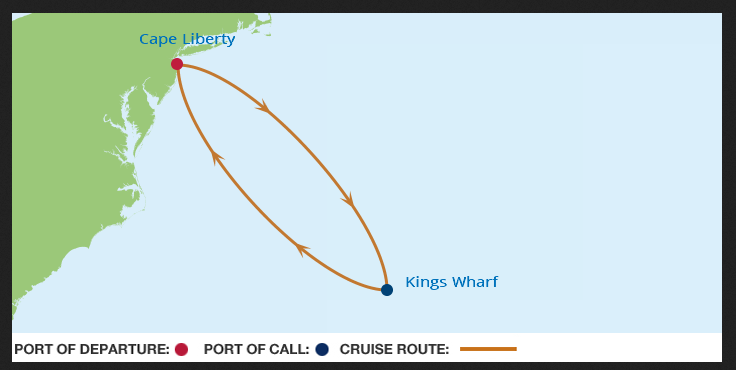 Next Sunday we toss the bags in the trunk, The Kiddo in the backseat, and we head or NJ for our fabulous Celebrity cruise. I won’t have a connection but will post some pictures and updates once we are back. The best part is the day after we come back is the first day of school! 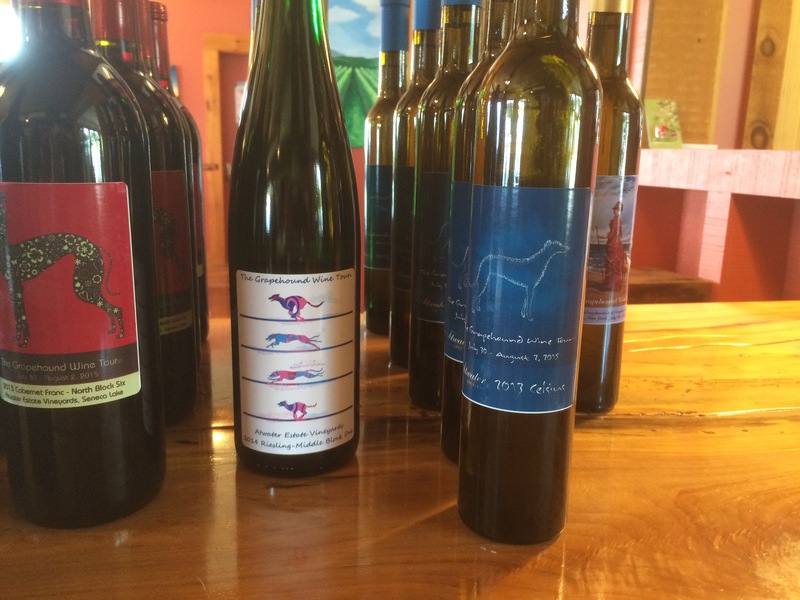 Last week we ventured out for the annual Grapehounds Wine Tour. 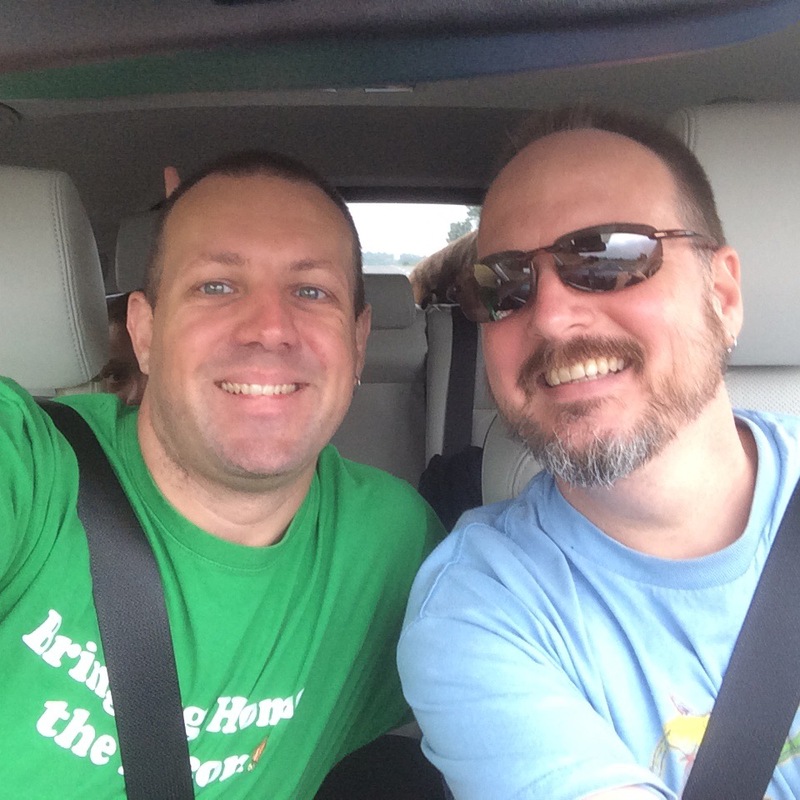 We packed up the Doggies, The Kid and all of our stuff (in the new Cargo box attached to the back of the car) and set out for Fun and Frivolity. As you can see, The Kid wanted to get in on the selfie action. 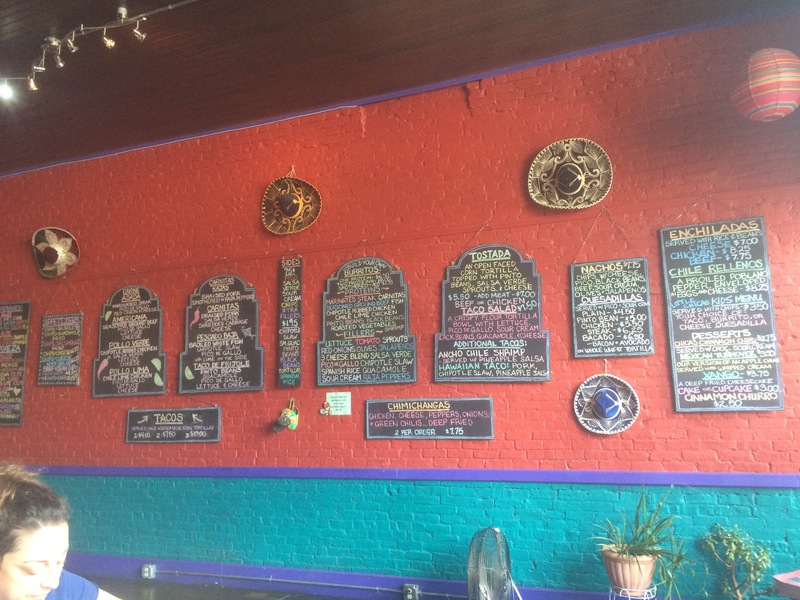 Our first stop of our travel Thursday was Las Chicas Taqueria in Owego, NY, a staple in the food consumption of a winery weekend.The Hubby had a burrito, I had the Enchiladas and The Kiddo had a Taco and Chips. I know I say this every time but the food here really is fabulous. We arrived at the hotel around mid afternoon and checked in, we picked a new Motel this year based on some things we had heard from others. It was slightly cheaper than the place we usually stay and just a tad closer to town. Overall it was a good place, lots of space for The Kid to play in with a Basketball court and open fields. We had 2 queen beds and a sofa but still plenty of room for the puppies so that we weren’t all on top of each other. The bonus was the balcony we had, though really only big enough for 2 chairs for The Hubby and I it was a welcome addition to the room. Thursday night in addition to the Welcome reception (and check in for the weekend) we met up with our friends in the area (more on them later) for a concert at one of the Wineries on the West Shore. 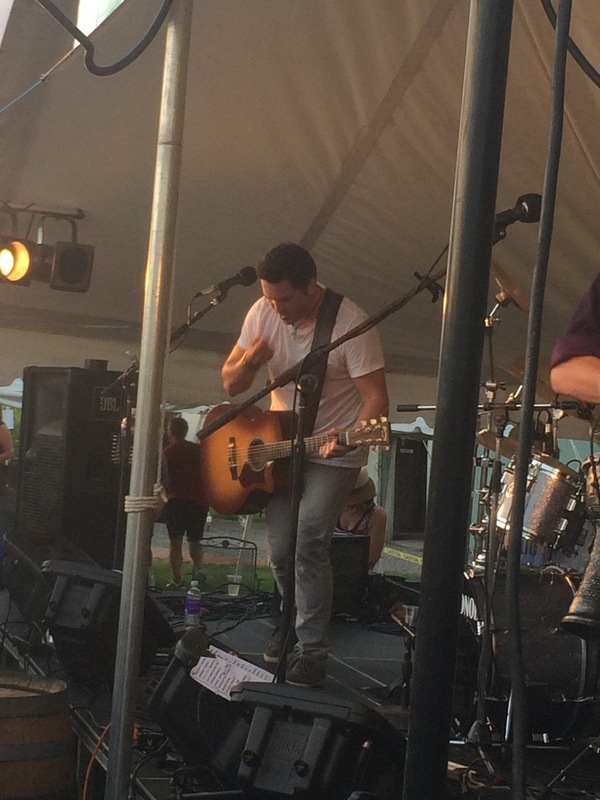 Fox Run Vineyards was hosting a Garlic Festival over the weekend which included a kick off concert with a band from Vancouver called The Town Pants. The above picture is Duane who is one of the founders of this Celtic Roots Musical group. Along with guitar the band includes Drums, Banjo, standing Bass, and Fiddle. This is not normally our type of music but I must say they are a very good group and we thoroughly enjoyed the concert. 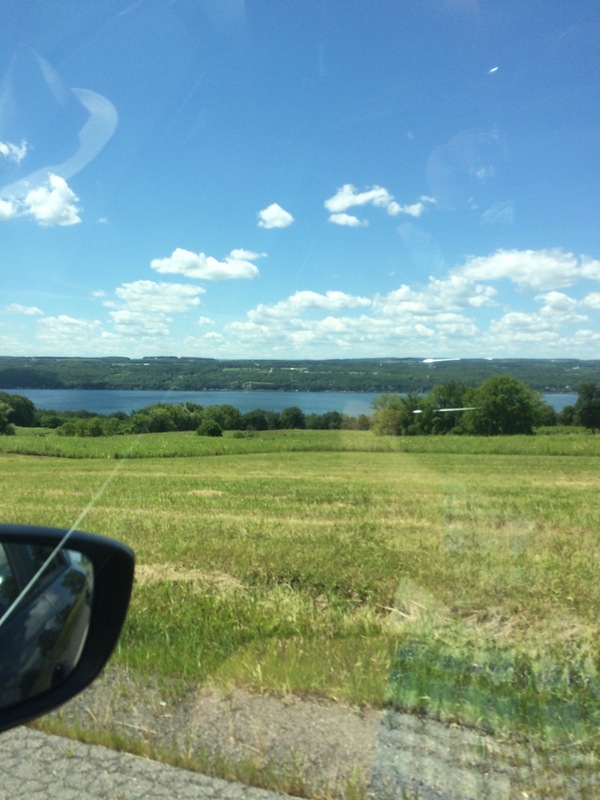 Friday found us on the East Side of Seneca Lake, as we are wont to do we started at the furthest stop which happened to be a Brewery/Distillery and worked our way south back to the Motel which was on the West Side of the lake. In all we stopped at 6 wineries in addition to the Brewery and grabbed lunch at this roadside place called Big Johnson’s. Now say what you will about these local yokel places on the side of the road, but the Burger I had was damn good. We were a few tattoos and some leather short of actually fitting in there, but it was lunch time and we sat outside. 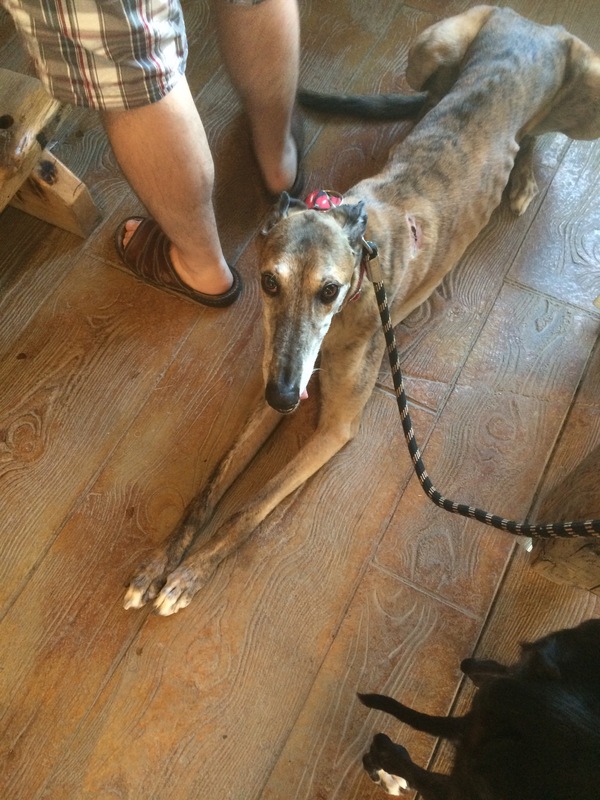 The service was what we expected and the people extremely accommodating to let us have the dogs with us near the table. 7 Wineries you say, yes 7 in one day! There are so many wineries on each side of the lake and most are practically next door to each other or maybe a 1/4 of a mile down the road it’s easy to hit that many or more. We could have probably visited 1 or 2 more but the ones we stopped at were most of our favorites in the area so we tend to linger and chit chat not just taste and run. Our friend Amanda works at Atwater Winery, which is celebrating their 15th Anniversary this year, and she created these limited edition labels for 4 of their wines. My 2 Favorites are the ones in the middle, the white Running and the Blue Standing. The Blue bottle also happens to be Celcius their Ice Wine option. I won’t even get into how many bottles I came home with. Here’s Duncan! It’s unusual he sits still long enough to let me snap a picture of him. Mabel felt the need to walk away so all we get to see of her is her tail. Friday night we met up with our favorite Pickle Hollow resident Toppie Smellie from The Smellcast Podcast. He is always so gracious in meeting us when we are in town. We had a lovely dinner at Falls Restaurant and Tavern (or The Rustic Lodge as we call it), then we all walked across the street for dessert at Not Your Daddy’s Ice Cream. Saturday our schedule was dictated by 2 very different items, the first was out of our control the 2nd was scheduled. 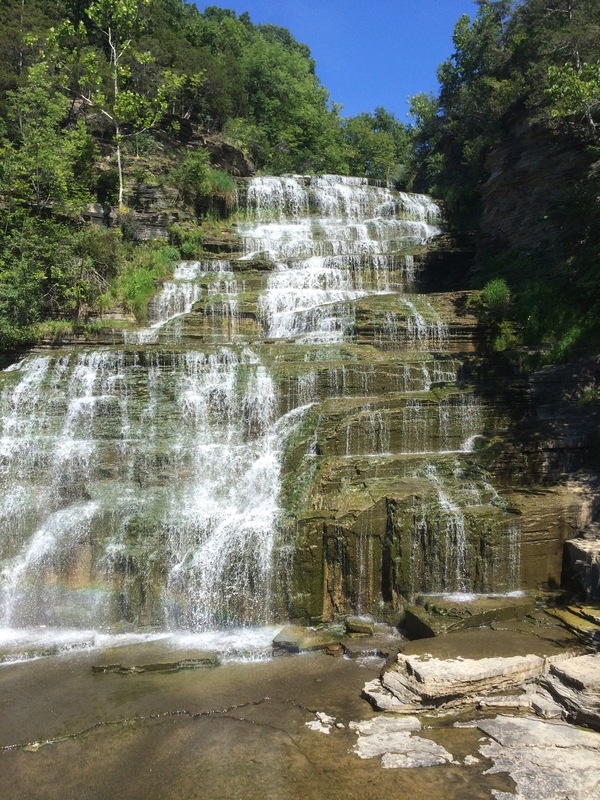 This weekend along with Grapehounds invading the lake, The Watkins Glen Italian Festival was taking place. The last few years these were scheduled on different weekends but worlds collided again this year. We needed to be on whichever side of the lake we were going to be on before 11. See there is only 1 road that can get you through Downtown Watkins and that road was to be closed from 12-3 for the Parade. Since we felt the wrath of Parade traffic a few years ago we knew we wanted to be nowhere near it so we opted for the West Shore Wineries that day. We started the day off with breakfast at the Penn Yan Diner with one of The Hubbies former Navy Shipmates and his son who live in the area we were visiting. Tiny does not begin to describe this place. If i recall correctly there was seating for 20 not including the lunch counter space which was maybe an additional 8. Not surprisingly there was a crowd waiting for tables. There were pancakes and eggs and french toast all around the table, I opted for what is called The Uncle Terry, a biscuit sliced in half smothered in sausage gravy, topped with Eggs (I had mine scrambled but should have gone with over easy), served with a side of hashbrowns. Everyone was super jealous of my amazing breakfast. One of the draws to the weekend is the Host Winery where all of the greyhound vendors set up shop to hawk their wares. We stopped by on our way to the northern most participating location so The Hubby could pick up some stickers for the Car and Cargo box. I found a cute windsock which I purchased and then off we went to Winery hop. Again we hit 6 wineries and a brewery called Climbing Bines which has Hops growing on their property instead of grapes. The stops on Saturdays winery listed also included one of our favorites Lakewood Vineyards where Tracy works, he also happens to be the husband of Amanda from Atwater (it’s so incestuous up there with the wineries). Saturday ended with dinner, wine, good conversation, and S’mores made over a good old fashioned camp fire built by the hubby at Tracy and Amanda’s house. 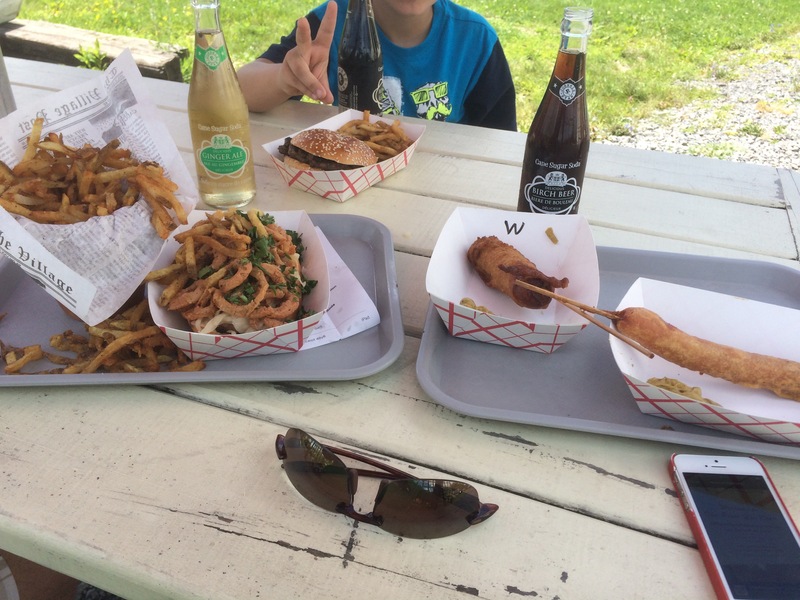 Since we were on the West Side of the lake that meant we could have lunch at the FLX Wienery. The best food in a 10 mile radius (and I don’t just say that because there is no other food within 10 miles). The Hubby had 2 corn dogs, a Zweigles White Hot and a Shirk’s Smoked Dog. The Kiddo had a basic hamburger with nothing on it because ya know he’s 8. I had the The Kraut, a Bratwurst with Brown Mustar, Kraut, Herbs, and Fried Onions, plus we all shared a Lake Salt Fries. Yes we ate every last drop of that food. 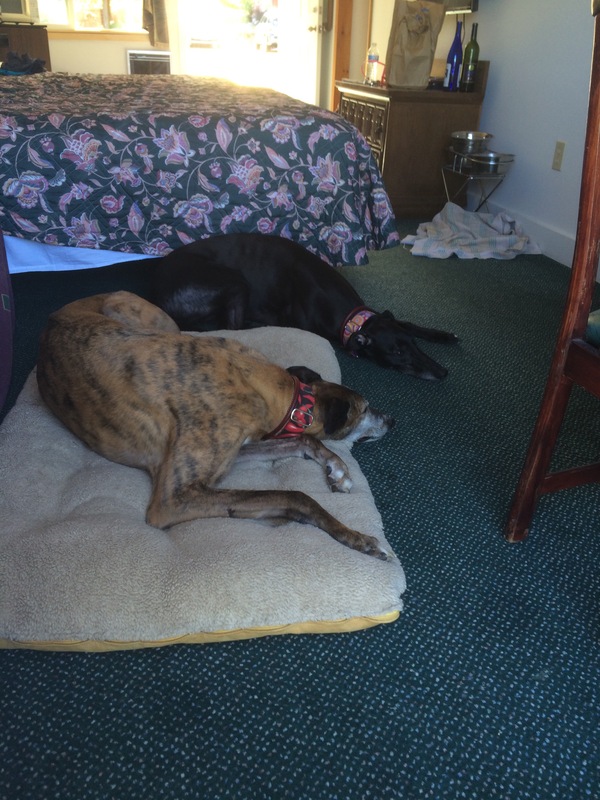 Duncan and Mabel enjoyed their trip but were very tired at the end of each day. I really do not get tired of this view. Sunday we wrapped up the tour with a few more winery visits. We did 2 up at the northern end of the lake grabbed some lunch at Fingerlicks then headed on down to 3 of the East shore wineries we missed on Friday. Overall it was a slower paced day that ended with Dinner at The Seneca Lodge (talk about Rustic) and then another night of Ice Cream. Then it was back to the motel to get a good nights sleep for the ride home the next day. I will leave you with this shot of Hector Falls. We pass by here on the East side of the Lake. We had to stop and get a couple pics on our way back to the motel on Sunday afternoon. The best part is we can see these falls from the motel room balcony, barely make them out with the naked eye but with the good camera I was able to take some nice pictures.